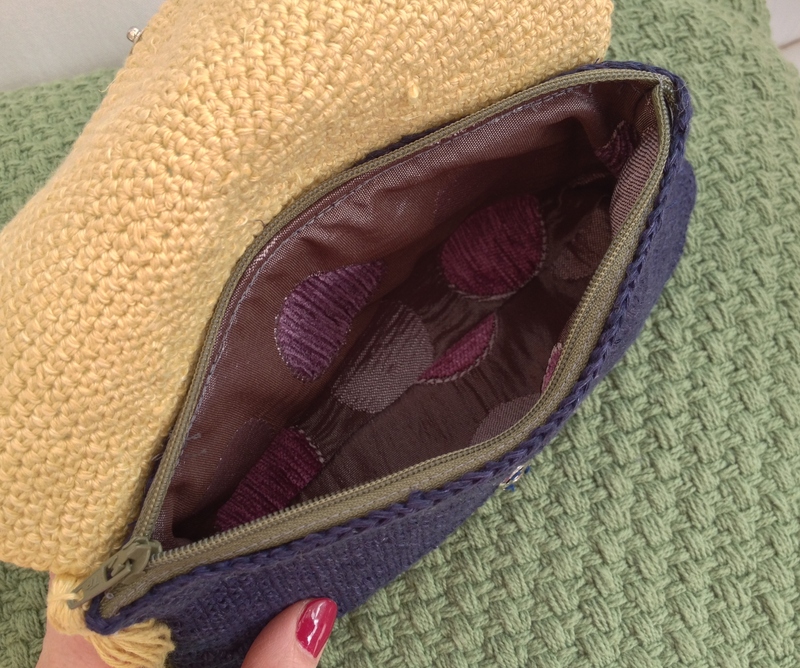 I’ve finished my linen clutch bag. I was trying to copy this one. It was a simple crochet make. 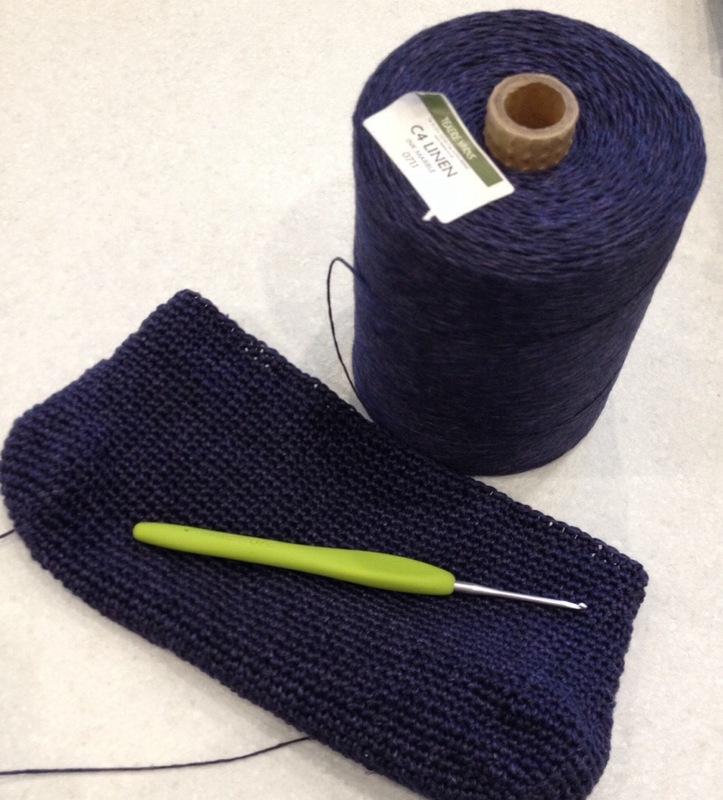 All in double crochet using a fine linen yarn from Texere yarns. See this previous post. For the main body of the bag I started with 44 chains and double crocheted along both sides, forming a flat half circle at each end to form a base. When I was happy with the size of the base I decreased by 5 stitches evenly around the circumference of the half circle at each end. 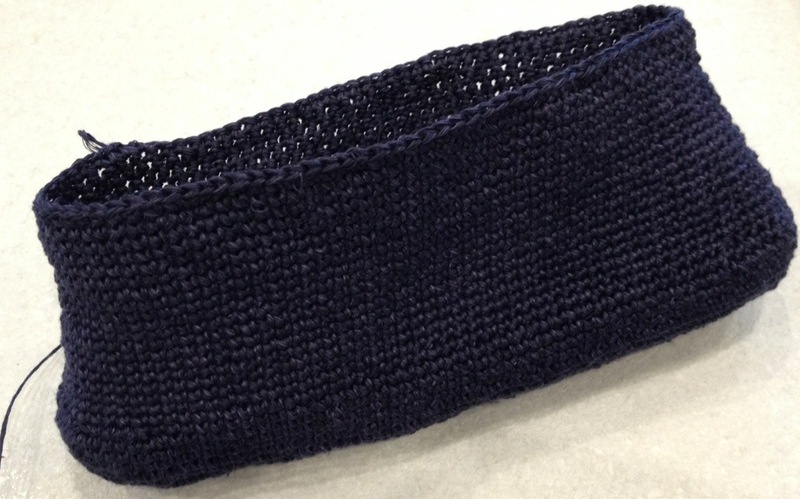 I then continued up the sides decreasing by one stitch at each end, every other row. If I was to do it again, I would increase the base to around 55 chains. I think it could just do with being just a little larger. I lined this one and incorporated a zip. 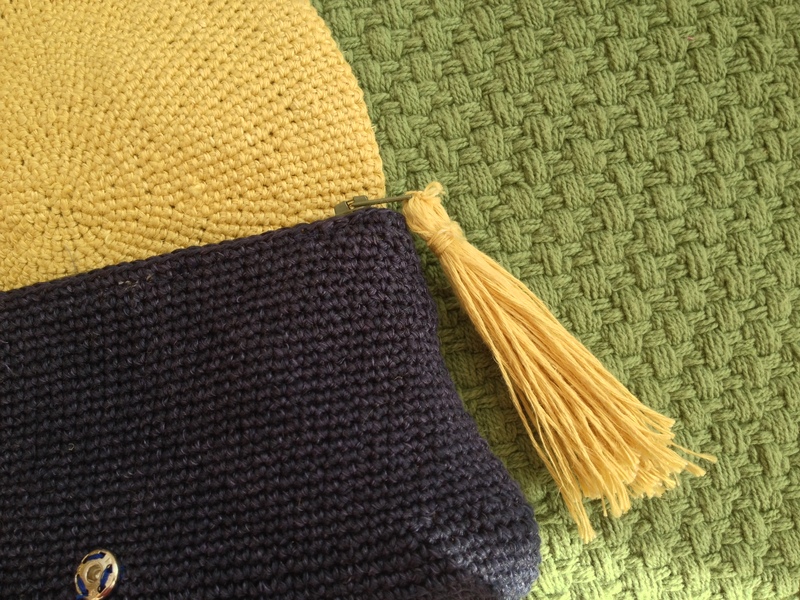 Finally I added a tassel. Just one more week and this will be winging its way with me to Lanzarote. Can’t wait for a little heat and a lot less to do. You’ve done a great job of copying the one you wanted to copy! Have you been to Lanzarote before? When my girls were little we went 8 years in a row in October/November and we loved it. We always went to Playa Blanca and stayed in a hotel a couple of times but mostly in villas – one just next door to Lagomar which was supposedly once owned by Omar Sharif. People couldn’t understand why we kept going and called it ‘Lanzagrote’ but, if you are outside of the really touristy bits, it is beautiful and very different in terms of scenery. You are bang on trend, I see, as the P.M. is going there for Easter with his family and the Island is reinventing itself as an upmarket holiday destination. We love Lanzarote! We’ve been at least 6 times in the past 10 but not for the last couple of years. We always stay in the old town of Puerto Del Carmen. We often think about trying Playa Blanca but have never made the move. I live having a place to return to that you know inside out. No stress, no bad meals in unfamiliar restaurants. Just arrive and relax. Sometimes you need a holiday like that. Last year we had a wonderful holiday in Turkey. Daniel Craig was there. We just can’t seem to avoid the paparazzi! 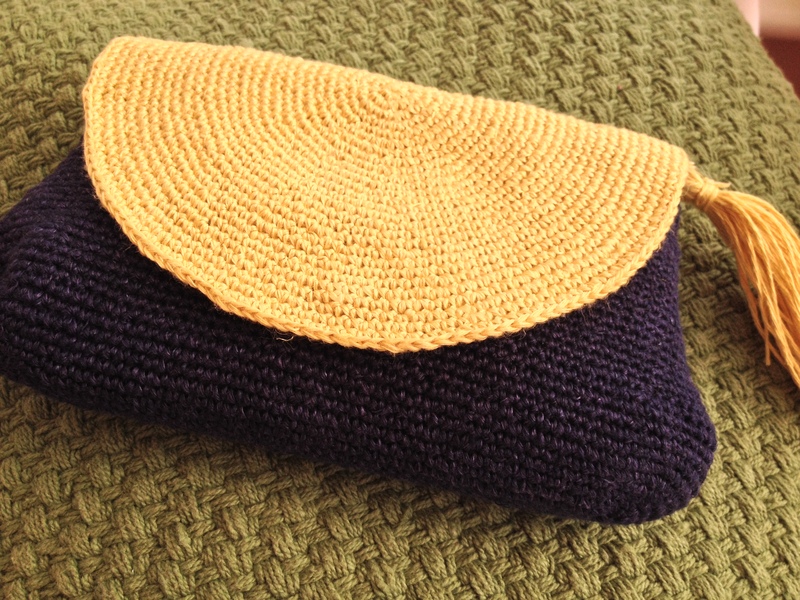 What a fabulous bag, your crochet is so neat and tidy. Thanks. 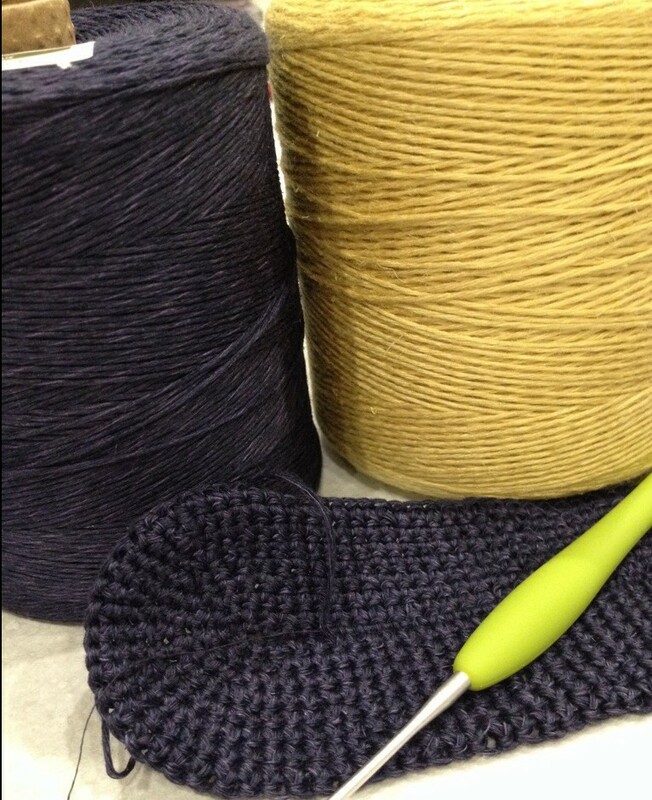 I’m a bit of a stickler when it comes neat crochet! Thanks very much. It was almost there! 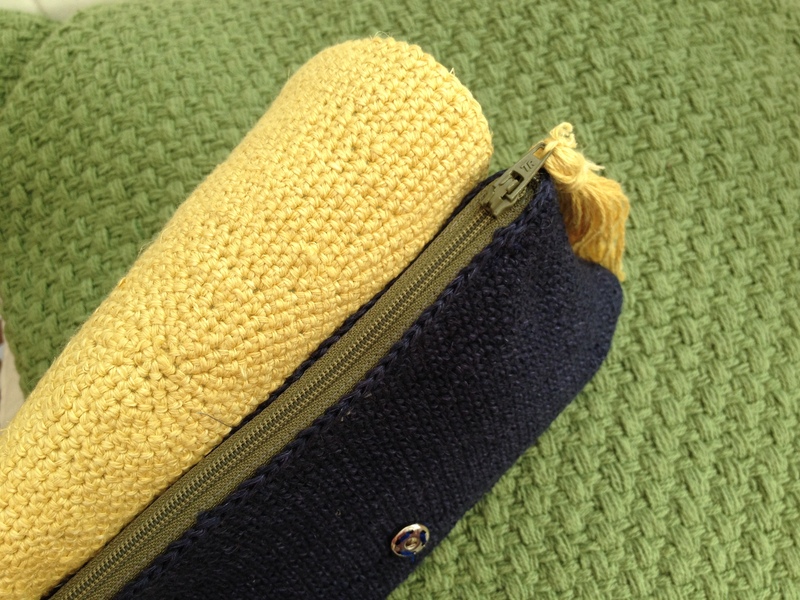 I love the linen look in crochet and the finished bag is very unusual. Have a lovely holiday! Thank you. I’m very pleased with this one. This bag is fabulous! It looks so professional that I can’t imagine you made it. It’s pefect and I love the colors and lining. You are SO talented! Thank you for your lovely comment. Putting the lining in was the trickiest part. The crochet was relatively easy. A lovely result, well done Lucie! Thank you. So good of you! Wow !!! What a stunning bag. I think yours is so much better than the original. I love the fabric you’ve used for the lining. Thanks for your lovely comment. I’m thinking a green one next! 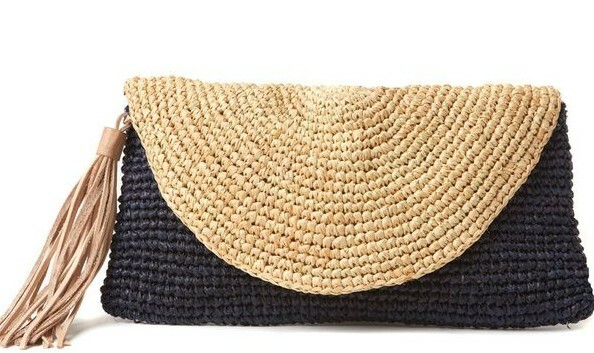 That is a beautiful bag, very impressive re-make of the one you were inspired by. I love the fact that as I’m reading what you’ve put I can actually understand how you made it – amazing! I love crochet! A great comment, thank you. I love crochet too. I love how portable it is and am always on the look out for contemporary things to make. I think crochet has too long been associated with grannies and doilies but it is quite amazing when you look around the shops, how much crochet you see. It’s a lovely bag. Very nice and professional work. Loved it !! Your explanation for making the purse sides is really much helpful. So cute purses! I will make it, thanks. Amei a bolsa de crochê e gostaria muito adquirir uma, favor me informar se você faz por encomenda e qual o valor da bolsa.